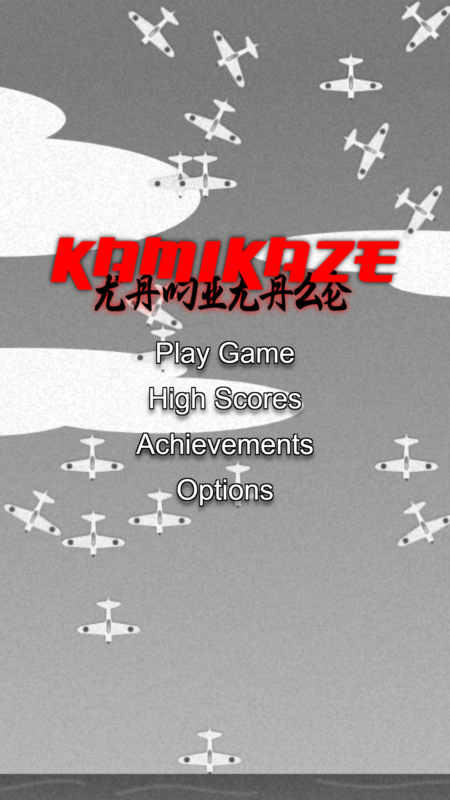 Kamikaze is a fast paced action arcade free game based on the WW2 battle of Okinawa in the Pacific theater. You are a U.S. naval AA gunner and you must shoot down the oncoming Japanese air strike force. Tap on the screen to fire your anti aircraft gun at wave after wave of fighter planes. If your ship gets hit, you lose! 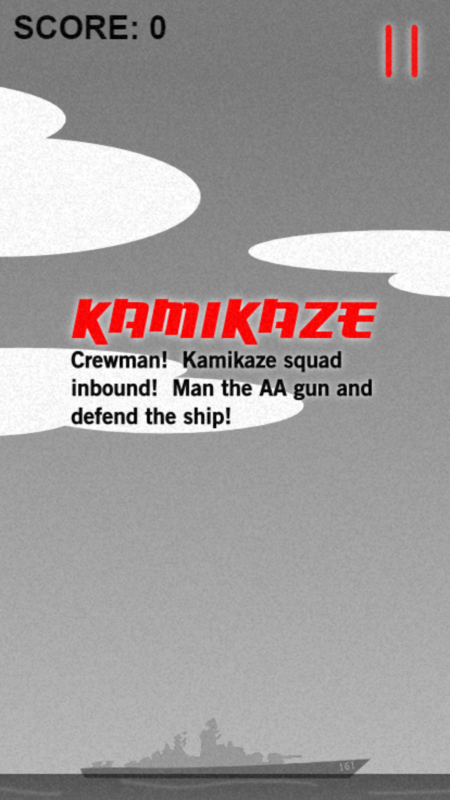 Kamikaze is a fast paced arcade action naval warfare shooter game. Tap the screen to fire anti aircraft guns at fast incoming Japanese aircraft! Strategy, precision, and vigilance will all be required if you are to defend your ship. Will the allied forces prevail? Or will Japan litter the bottom of the ocean with their ships? You decide! - Hours of fast paced plane shooting fun! - Feel like you are actually in the game with force feedback vibration! - Fun graphics and an addicting soundtrack! - Global online high scores list lets you compete with the world! - Chicks dig dudes who fire AA guns! - Can be used to train and prepare for the actual upcoming Word War 3! - Gamepad support! On select devices, play the way you want to and even from your tv with full game pad support. Offers controller support for both HID mode and Moga mode for people with moga controllers. Kamikaze is completely free, but it is supported by in-app advertising. Premium upgrade options are available on all major platforms, but if you purchase a license key directly from Ape Apps, you will recieve a license key file which unlocks the upgraded version of Kamikaze on all platforms! Click Here for more info.